PCD Wire Drawing Dies are one of the most preferable wire drawing dies for high precision. These are generally known as long life wire drawing dies. These dies are applicable in wire manufacturing and design industries, electrical cable manufacturers and some other kinds of manufacturing companies. 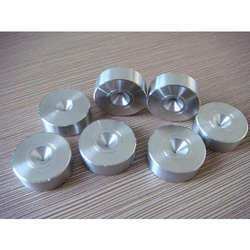 These dies undergo various quality tests to ensure superior quality and performances. They are known for their dimensional accuracy and compact design. We also can customize the product according to the requirement of the clients. PCD Wire Drawing Dies dies undergo various quality tests to ensure superior quality and performances. Looking for PCD Dies ?